CHICAGO – The Criterion Collection expanded by two titles recently and fans of Andrzej Wajda and Roberto Rossellini will be happy to see two of their films in slots #463 and #464 in the most acclaimed series of DVDs in the history of the format. Rossellini’s “Il Generale Della Rovere” and Wajda’s “Danton” might not be as high-profile films as some recent Criterion releases, but they have been given the typically spectacular treatment that this company has been known for over the years. Rossellini’s “Il Generale Della Rovere” is a transition film from one of the fathers of neorealism’s more human films of the ’40s and ’50s to his historically-based work of the ’60s and ’70s. The director is still most known for that early period with “Rome, Open City” being required viewing for anyone with the guts to call themselves a film historian. Danton was released by The Criterion Collection on March 31st, 2009. But a lot of Rossellini’s other work has been undervalued. Too often his impact on the realism movement is the only focus. This legendary director made movies for four decades with dozens of films besides “Rome, Open City”. 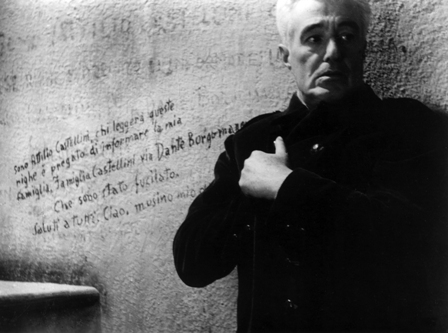 One of those historically underappreciated films is 1959’s “Il Generale Della Rovere”. 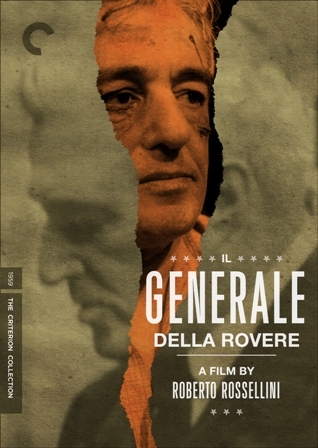 Il Generale Della Rovere was released by The Criterion Collection on March 31st, 2009. Joining “Rovere” in the Criterion Collection and released on the same day is the widely-acknowledged-as-excellent “Danton”. The 1983 film by Andrzej Wajda, an internationally renowned director who has been making films for five decades (including as recently as 2007’s “Katyn”), is arguably its creator’s most acclaimed film, winning a BAFTA, a Cesar, and even the National Society of Film Critics award for Gerard Depardieu. The black and white “Rovere” is presented in its original 1.33:1 aspect ration with a remastered monaural Italian track with a new and improved English subtitle translation. Special edition features include new video interviews with Isabella, Renzo, and Ingrid Rossellini, as well as film scholar Adriano Apra, “The Choice,” a new visual essay by Tag Gallagher, author of “The Adventures of Roberto Rossellini,” the original theatrical trailers, and a booklet with a new essay by critic James Monaco and an excerpt from a 2000 interview with Indro Montanalli, the author of the story that inspired the film. “Danton” is presented in its original 1.66:1 aspect ratio with a monaural French track with a new and improved English subtitle translation. Special edition double-disc set features including just the original theatrical trailer on the first disc and video interviews with Wajda, screenwriters Jean-Claude Carriere, and Polish film critic Jerzy Plazewski on the second disc. That disc also includes a 42-minute behind-the-scenes documentary on the making of the film called “Wajda’s Danton”. The film looks amazing but it’s surprising that the relatively light collection of special features were spread out over two discs. ‘Il Generale Della Rovere’ is released by The Criterion Collection and stars Vittorio De Sica, Hannes Messemer, Sandra Milo, Anne Vernon, and Giovanna Ralli. It was written by Sergio Amidei, Diego Fabbri, & Indro Montanelli and directed by Roberto Rossellini. It was released on March 31st, 2009. It is not rated. 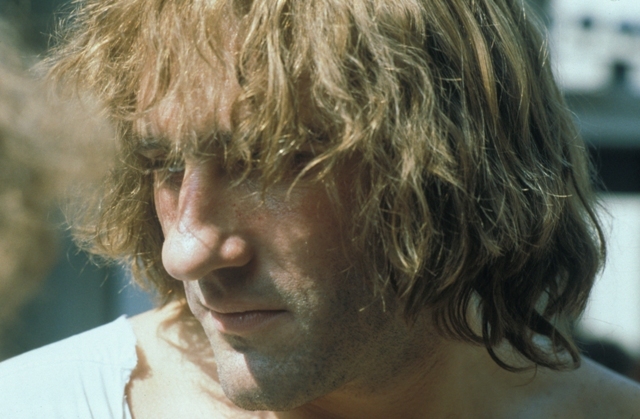 ‘Danton’ is released by The Criterion Collection and stars Gerard Depardieu, Wojciech Psznoiak, Patrice Chereau, Angela Winkler, and Anne Alvaro. It was written by Jean-Claude Carriere, Jacek Gasiorowski, Agnieska Holland, Boleslaw Michalek, & Andzej Wajda and directed by Wajda. It was released on March 31st, 2009. It is not rated.